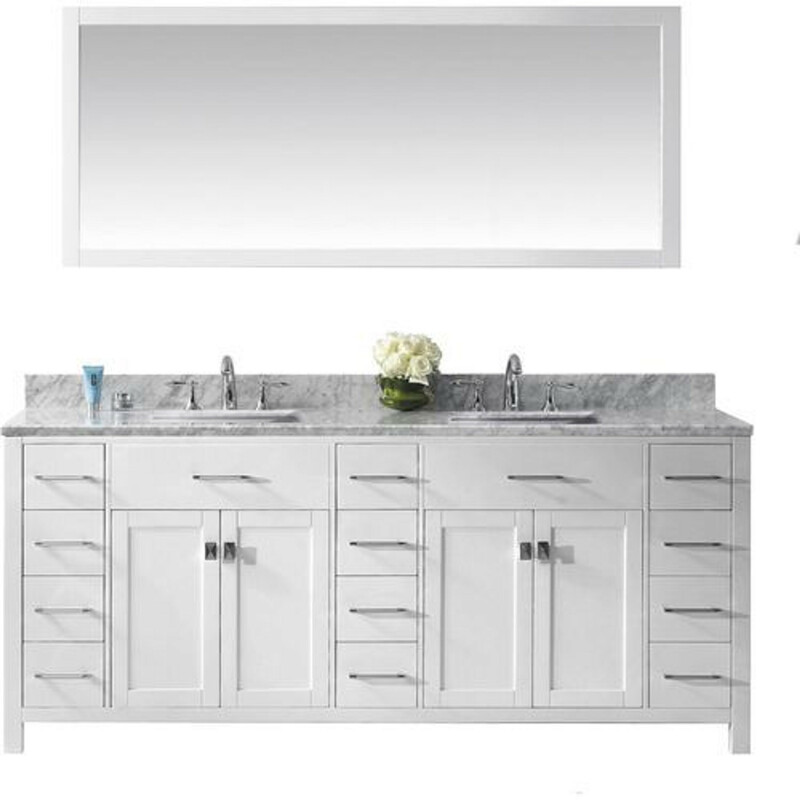 Inspired by the Caroline, the Caroline Premium vanity offers a clean, sleek structure with abundant storage. The vanity is constructed from the finest plywood with a premium grade of the zebra grey veneer finish. The vanity also features a black galaxy granite countertop and a matching backsplash, also available in Italian Carrara White Marble. Featuring a combination of soft closing doors and drawers in all its many sizes, this striking vanity will be a great centerpiece to any bathroom design. Vanities in the Caroline Premium Collection are available in 36”, 48”, 60”, 72”, and 90”, and come with your choice of either square or round basins. Virtu USA has taken the initiative in changing the vanity industry by adding soft closing doors and drawers to their entire product line. The premium soft-closing hardware not only increases the safety of the vanity, but also its lifetime reliability. The Caroline Premium Collection, from Virtu USA.